She’s stolen gold… will she steal his heart? Lena Mae has been turning down the advances of men and potential suitors for marriage. She has not met a man worthy of her attention or her hand. Looking for adventure and learning of the route between England and Paris where gold is hauled and transported, Lena is determined to steal enough gold bars to live alone and never need to consider the advances of another man. William Mason is responsible for guarding the train and the gold bars buried inside the safes. He has always been a man of the law. When he discovers that the safe transporting the gold has been broken in to and there are thieves on the train, he enlists the help of the young Lena Mae, who has caught his attention. Traveling alone with a story to tell, she appears to be the most honest person and the one least likely to be involved, given her dainty size. His assumptions are wrong. Learning of her betrayal, he must decide how to enforce his rule and whether she should be disciplined – or arrested and handed over to the authorities for her crimes. “Are you excited for the wedding?” her mother asked, watching her daughter as she ate. Clara nodded and took a bite of her roll, pleased that the conversation was upbeat and not dampening her mood. She had not been thrilled to be forced to meet with the doctor and had been nervous that her family might discover what had occurred while she was under his care. “I am, Mother,” Clara said. “I wish I could meet my suitor before the wedding, but I know you have told me that it is not possible.” She had begged her mother to let her pay him a visit, even if it was in secret. She knew nothing of him, not even a hint of his profession so that she might see him at work. Clara sighed and placed her half-eaten bread on the plate. She reached for her water, having a sip, wishing it were wine. Her parents had given her a taste every so often, but had assured her that it was only given on special occasions and that too much would ruin her reputation and her chance at marrying a proper young man. “I do not worry about his finances, Father, only his heart. Will he love me?” She had not spoken her concerns quite so freely before. 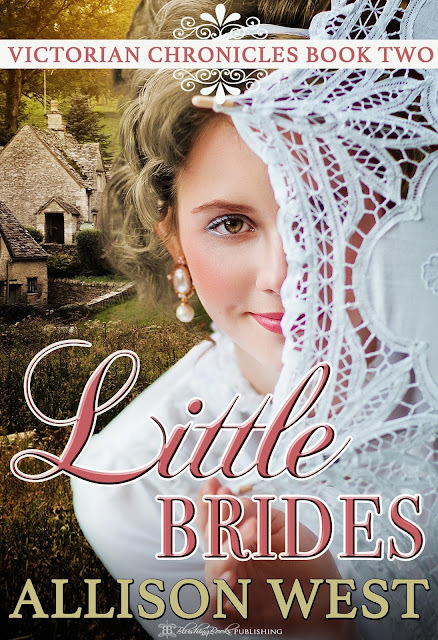 She had gone along with their plans to choose a husband for her and marry him just after her twenty-first birthday. They had insisted on giving her a proper education and waiting to offer her hand. “I am sure with time that he will grow to love you, Clara.” Her father smiled politely and excused himself from the table, his meal finished. Clara had only just begun eating, taking her time as she nibbled at her food and picked at her bread. She was hungry but distracted. She wanted to know that her husband would love her and take care of her. The doctor had been kind and though she had not known him very well, he had paid her far more attention than any other man she had met before. Would her husband be interested in her body as the doctor had been? She knew that she would have to consummate the marriage, that was not the act in question, only she wished to know whether he would love her in doing so, touching and pleasing her. I really love dystopian stories. The better the world building, the more compelled I am to read it. About 10 years ago I traveled to Australia by myself to meet a friend that I knew online. We both loved to write and were obsessed over a television show, so I took the trip to meet her. Turned out to be an amazing time and we became even better best friends. Just last year I traveled back to Australia to attend her wedding!